Consider The Sauce is facing a very busy – but happy – few Saturday hours. Kung fu class in Carlton from 11am to noon. 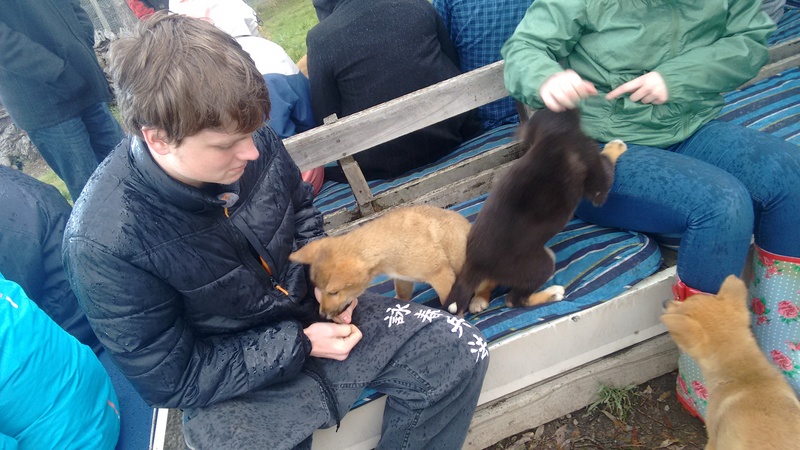 A 2pm appointment in Toolern Vale for a frolic at the Dingo Discovery Sanctuary and Research Centre with some dingo pups. Do we have time for a quick bite of lunch in between? Though, mindful that there’s a bit of driving to do in a somewhat hicuppy car, I make sure we get a long way to our rural destination before parking at Deer Park. 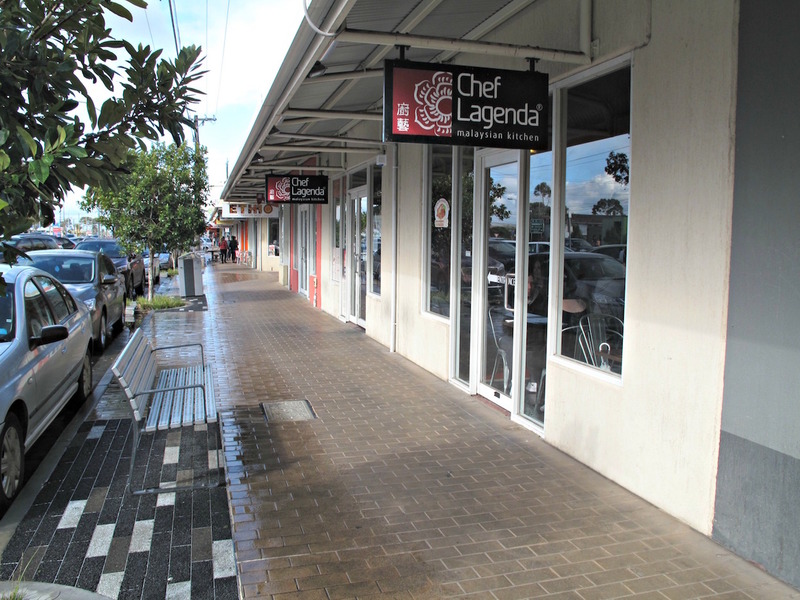 There we pass by – for once – our regular Deer Park favourite and head for Chef Lagenda. CTS reviewed this place way back in 2012 soon after it had opened. These days there are four in the Chef Lagenda family – the most famous in Flemington, as well as Deer Park, Hawthorn and Richmond. At the time it opened in Deer Park, there was a good deal of excitement in that neighbourhood. Since then, the Deer Park strip has bloomed considerably in terms of food – is Chef Lagenda holding its own? All we’re after is a quick, simple, affordable and tasty feed – and we succeed admirably. The place is obviously a popular local stalwart, as it’s doing very brisk trade at 12.30pm on a Saturday afternoon. Nothing much appears to have changed since our earlier visit – the bicycle is still on the wall and the service (cash only) is fine. Chef Lagenda may be ostensibly Malaysian of food, but it roasts, Chinese-style, its own meats. But we pass by those options and pragmatically opt for some straightahead Malaysian favourites. 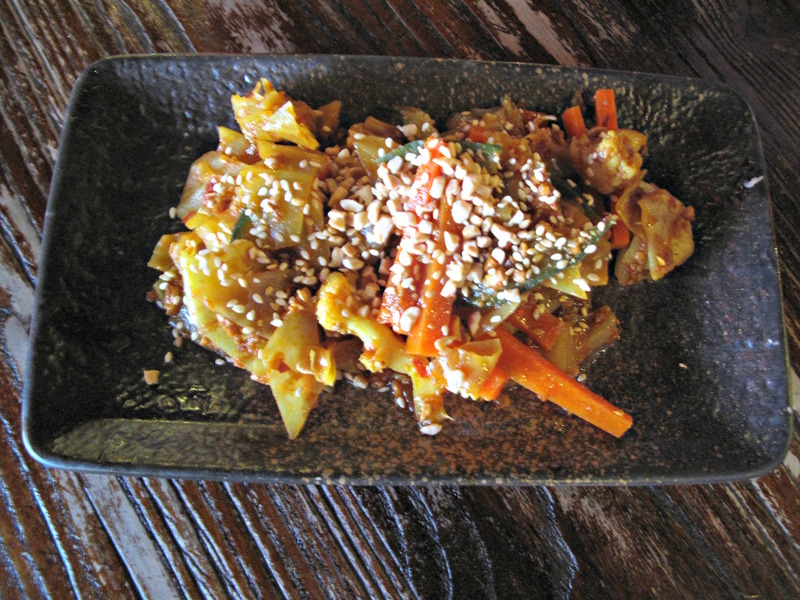 Achar ($5.80) could do with a bit more spice and vinegary tang, but is fine nonetheless. We pretty much automatically give a hearty thumbs up to any dish that involves cauliflower. 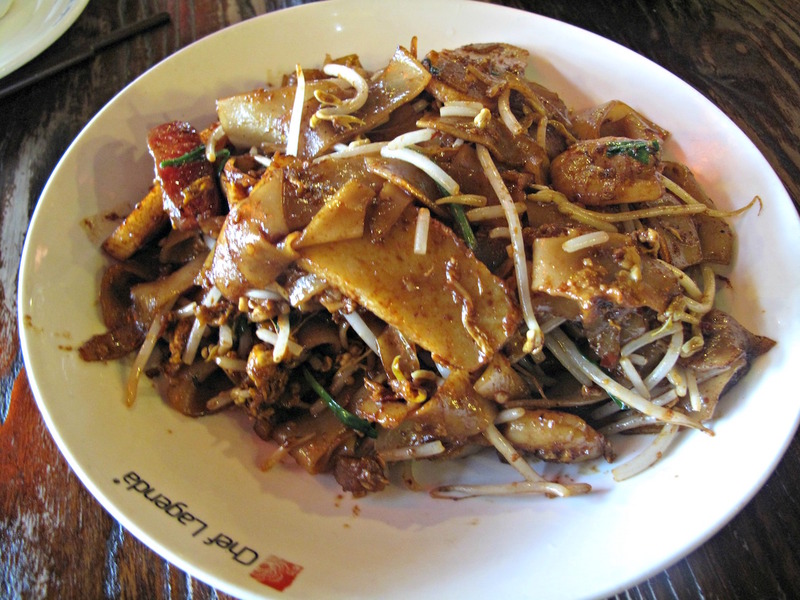 Bennie’s koay teow ($11.50) is a superb rendition – significantly less oily than some we’ve had and fully redolent of wok hai. My regular curry laksa ($9.80) is, well, regulation. But it’s also very, very good. There’s a good handful of tasty, plump prawns in there. The plentiful chicken meat is way superior to the scraggly chook that sometimes manifests itself in laksa outings. Best of all is the eggplant. I always eagerly look forward to the eggplant portion of a curry laksa. But sometimes it can be bitter and not very attractive to eat at all. 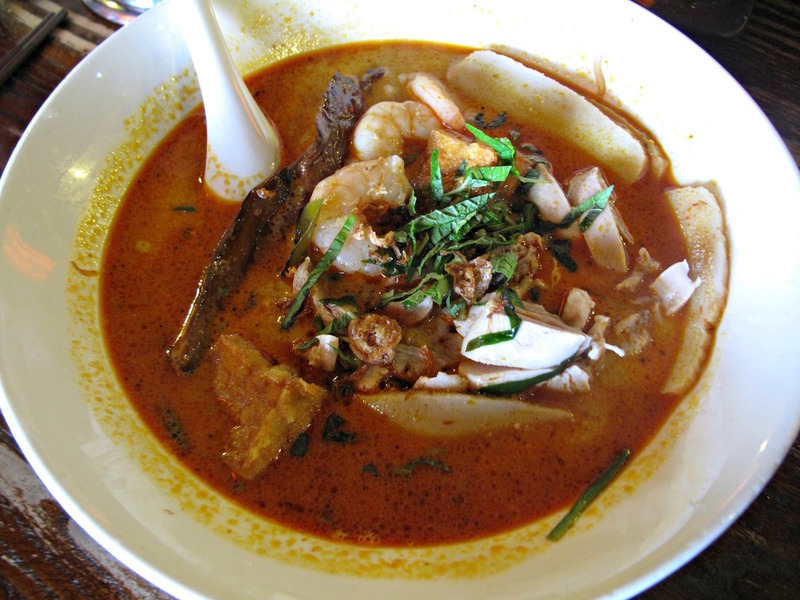 This Chef Lagenda laksa has just a single piece – to the left of the bowl. But it’s long, meltingly tender and 100 per cent delicious. In recent weeks, Bennie and I have discussed how prices have risen since CTS started. 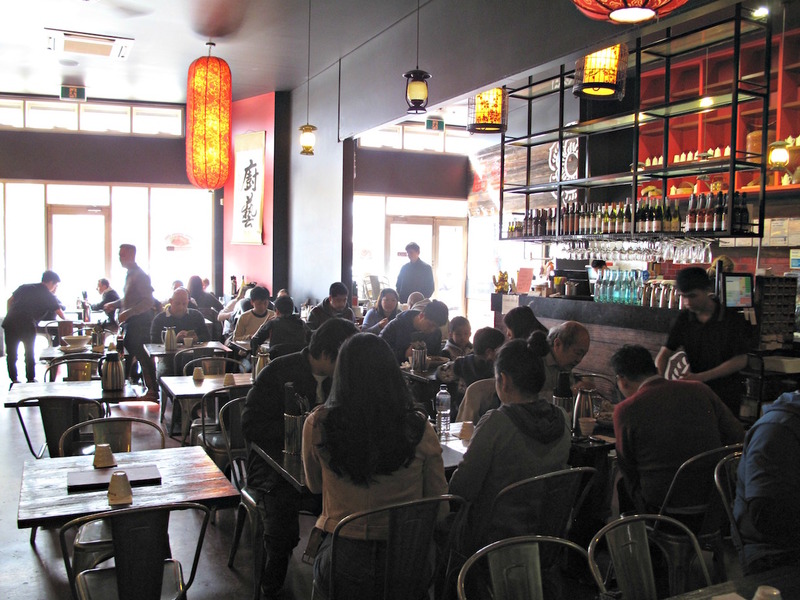 Outside of a couple of banh mi, the days of a meal that covers us both for $20 seem long gone. Yet, here in Deer Park, we’ve had a grand cheap feast when we weren’t even looking for a blog-worthy meal. The total bill – including two mains, a side dish and two cans of soda pop – is $34.10. And we reckon that’s excellent.